Being Frugal and Making It Work: FREE Old Navy T-Shirt! 1...2...3 and it's free. Hurry on over to get your FREE Old Navy T-Shirt! 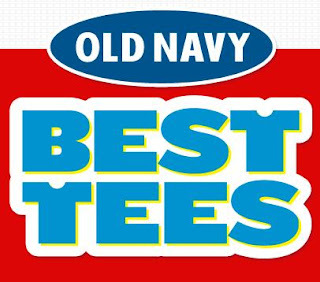 In just three easy steps, you can get a free BEST-TEE from Old Navy. As seen on TV, for a limited time, while supplies last. There are only 25,000 available! Don't Miss Out! HURRY on over and sign up to get your FREE Old Navy tee!